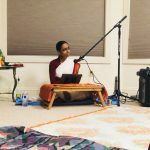 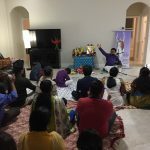 By Sri Swamiji’s grace, Poornimaji’s Seattle Satsang came to an end in a very lovely way with a beautiful satsang at the residence of Sri Muthuji and Smt. 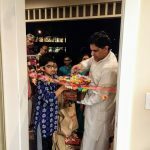 Vaishnaviji. 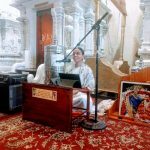 She left the devotees in Seattle with a beautiful message of Kainkarya and Guru seva, very penetrating since she quoted transformational examples from her own life. 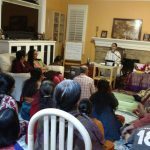 The satsang concluded with Nama Sankirtan and Dolotsavam.